We can make a repair to a burnt window regardless of the material. Burnt window repairs are relatively common among PVC plastic windows and timber windows, we rarely see aluminum windows damaged by burning. Burnt window repairs carried out to frames that damaged by cigarette ends that have not been extinguished before discarding out of the window. It is fairly common for cigarette butts to burn window sills as a result of this. 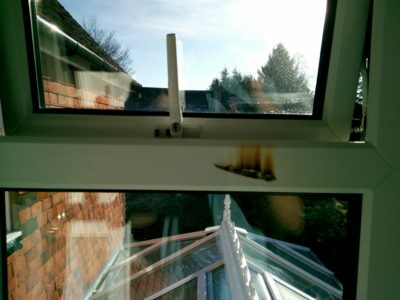 Another common cause for window frames getting burnt is from magnified mirrors which are common place in en-suites and bathrooms reflecting intense light on to the surface of the window frame resulting in either melted window frames and burnt window frames. 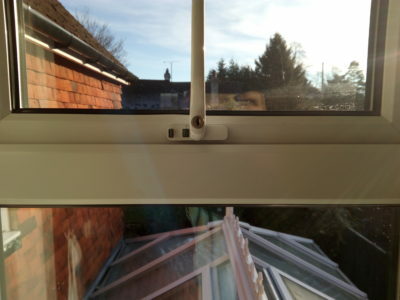 All damaged window frames repaired by our team in a relatively short amount of time. When repairing the window, damaged areas removed leaving only the stable material behind, the area is then filled and coated in the proper coating leaving an invisible finish.